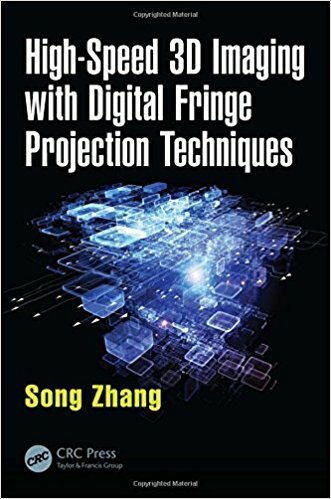 Song Zhang, "High-Speed 3D Imaging with Digital Fringe Projection Techniques"
Digital fringe projection (DFP) techniques are used for non-contact shape measurement of 3D images. In the rapidly expanding field of 3D high-speed imaging, the demand for DFP continues to grow due to the technology's fast speed, flexibility, low cost, and high accuracy. Incorporating valuable insights gained during the author's 15+ years of 3D imaging research, High-Speed 3D Imaging with Digital Fringe Projection Techniques illuminates the pathway to advancement in high-speed 3D optical imaging using DFP.